A vet surgeon from Cherrydown has raised more than £7,500 for the Alzheimer’s Society after completing an emotional trek across the Great Wall of China in tribute to her grandmother. Amy Andrews took on the 70-kilometre fundraising mission with friend Lucy Willis after losing her grandmother Danny Rowe to Alzheimer’s last year. Putting their best feet forward together with 42 other walkers, Amy and Lucy raised £5,500 as part of the group’s incredible £185,000 total for the charity. 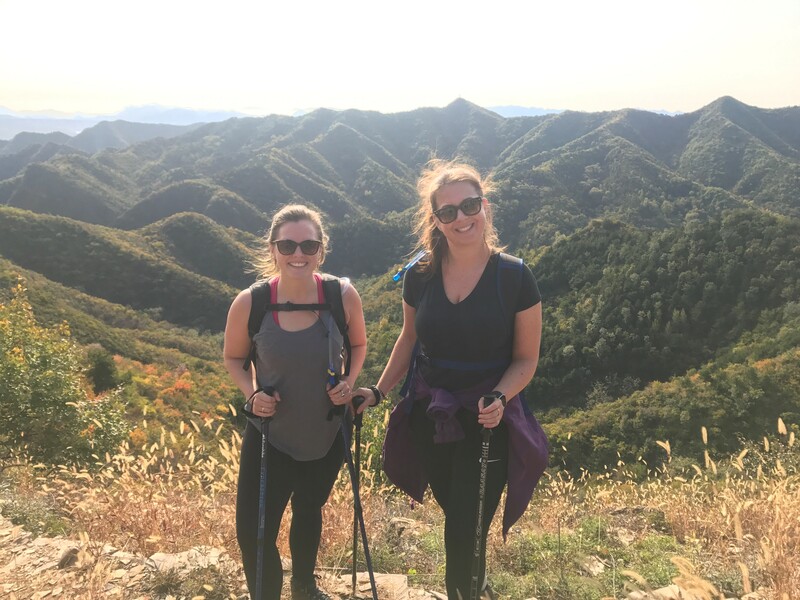 After negotiating the rocky and muddy terrain of China’s ancient landmark, along with some tough living conditions which included bugs in beds, Amy said the experience was one she was proud to complete. She said: “It was, for sure, the biggest challenge I’ve ever taken part in and there were some very low points but it was so lovely to all complete the challenge together and celebrate our huge achievement. “The conditions we stayed in were very challenging, with bugs in beds, long drops, lamb’s stomach for breakfast and some very cold, basic hostels. “In terms of the walk itself, there was so much variation between the different sections, with some much harder than others. ‘Heaven’s Ladder’ was a particularly challenging part, with 302 narrow steps to climb. As part of their fundraising efforts, Amy and Lucy organised and hosted a charity ball at the Arlington Rooms, in Essex, which included an auction and raffle, while members of the public and Cherrydown clients contributed £300 towards the cause from bucket collections. Donations are still being taken at any of Cherrydown’s three vet practices in Basildon, Wickford and Stanford-Le-Hope, or by visiting Amy’s Just Giving page at www.justgiving.com/fundraising/amyandlucyagainstalzheimers.